Do you have an error message that won’t go away or blinking status lights endlessly trying to communicate an error? Sometimes, even after the cause of an error is fixed, the printer will continue to show an error message. It’s easy to get frustrated or even give up altogether, but the best thing to do is clear your printer’s memory and start from scratch. 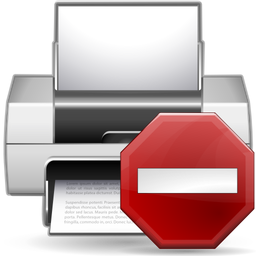 Depending on your printer model, there may be a specific process for resetting error messages. For the HP LaserJet 4100, for example, the process involves powering down the machine, then holding the “Item” and “Value” keys while starting it back up. There are too many different methods to cover here in one article, so your first step should be to consult your printer’s manual for specific instructions. If the manual is not available, check the support section of the manufacturer’s website. Lastly, you can try searching the web for the term “clear memory” and your printer’s model number, as some of results may give you detailed instructions. Sometimes the solution is simple. Save any open programs or files on your computer, and power down the computer. This ensures that the computer is not trying to send any tasks to your printer. Press the power button on your printer to turn it off. Some printers require you to hold the power button for a few seconds. 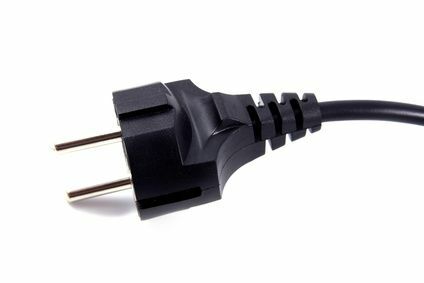 Once the printer has completely powered down, unplug its power cable from the wall outlet. Leave the printer unplugged for at least 5 minutes. It may be a good idea to wait a little longer to ensure the printer’s memory is totally cleared. You may wish to leave it overnight while you don’t plan to do any printing, for example. Plug the printer’s power cable back into the wall outlet, then press the power button to turn it back on. Again, some models may require you to hold the power button for a few seconds to turn the unit on. Check to see if the error or flashing lights are still displayed. Turn on the computer to try printing a document. While this may seem like a very simple solution, it can correct a lot of errors for many different printer models. Therefore, it is worth a try before attempting more serious repairs. If unplugging your unit doesn’t correct this issue, you can try our article on Common Laser Printer Troubleshooting or Common Inkjet Printer Troubleshooting. If you are still having problems, it may be time to call a repair shop for professional help.